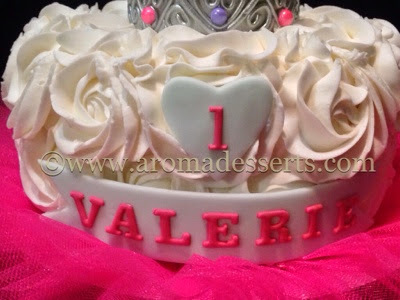 Smash Cake: vanilla cake covered and decorated with vanilla buttercream roses. 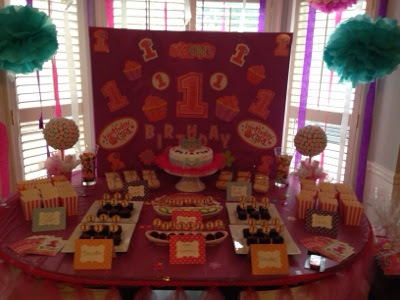 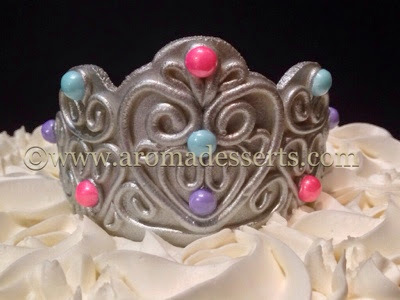 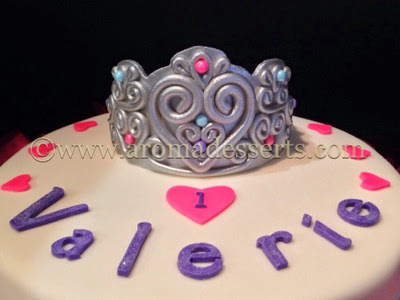 Crown is handmade, airbrushed and it's 100% edible. 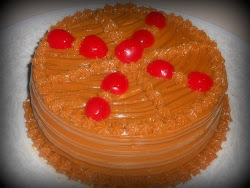 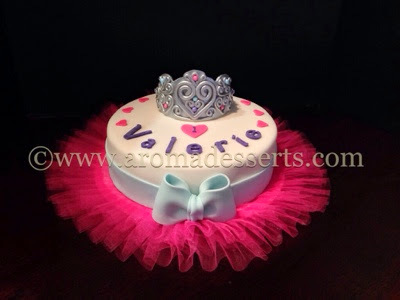 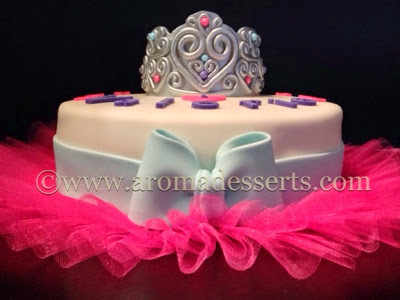 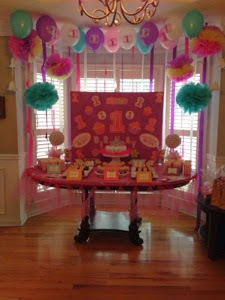 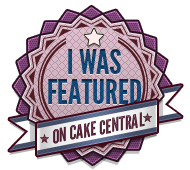 Large Cake: vanilla cake with strawberry preserve filling, covered and decorated with fondant. 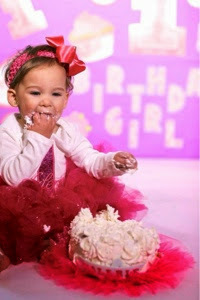 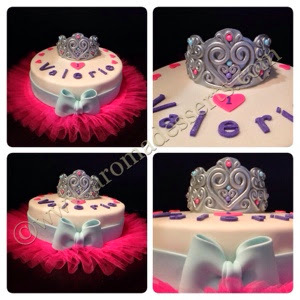 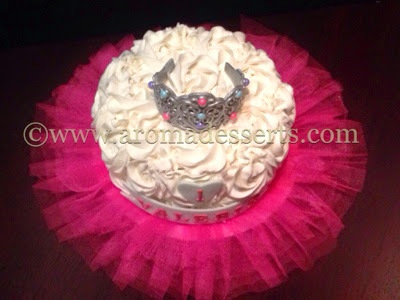 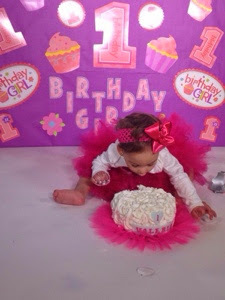 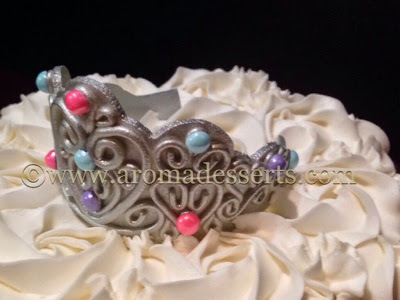 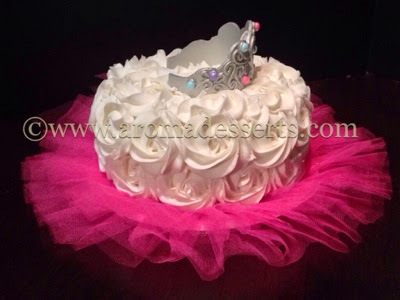 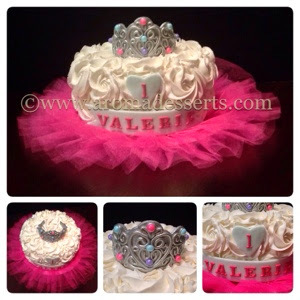 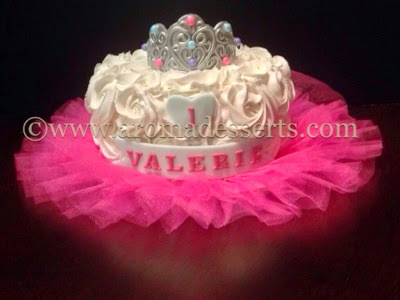 Crown is handmade, airbrushed and 100% edible as well.